Host a spooky Halloween pre-trick or treat party. Follow our planning tips for pulling off a bash without turning into a monster. Plann your Halloween party a few weeks early (email invitations about two weeks before). Consider carving pumpkins (using patterns) for party decorations. Simple party games can be played in the yard. How about a mini pumpkin on a spoon race? Check out our collection of fun kids cooking games! Kids can get a healthy start with some ghoulish but also good for you foods. 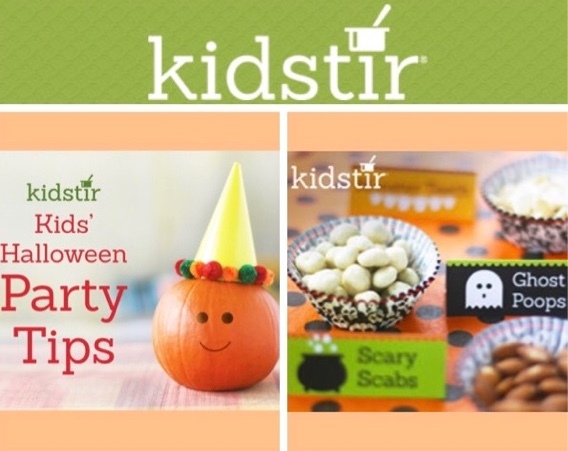 Serve up Spaghetti and Eyeballs or the Scary-oli from the Kidstir Halloween kit. Put up cob webs in the doorways, hang Halloween lights, top pumpkins with party hats, and set out a few homemade Kitchen Witches, too. Play some spooky music and your house will feel haunted. Listen to the kids describe each of their costumes. Then play a game, enjoy the Scary Food, and take some photos. Send the kids off trick or treating. Create a creepy table! Give your dishes some fun freaky names! 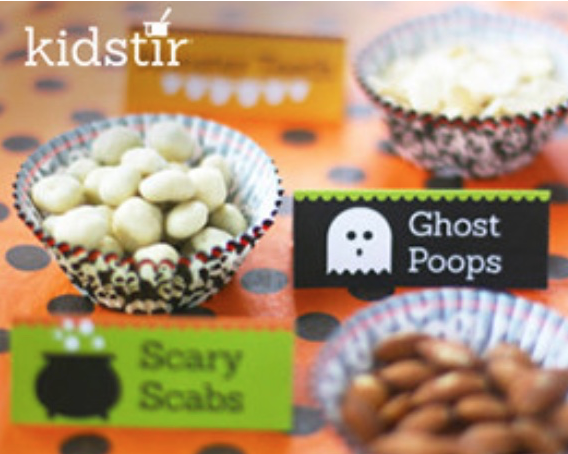 Check out our Spooky Table Top Tags and dare your guests to try something scary! Give your party food some freaky names. Cut out the cards on the dotted lines. Then fold them in half and set on a table next to your snacks on Halloween night. Then tell your guests to go ahead and eat — we dare you! Last chance! 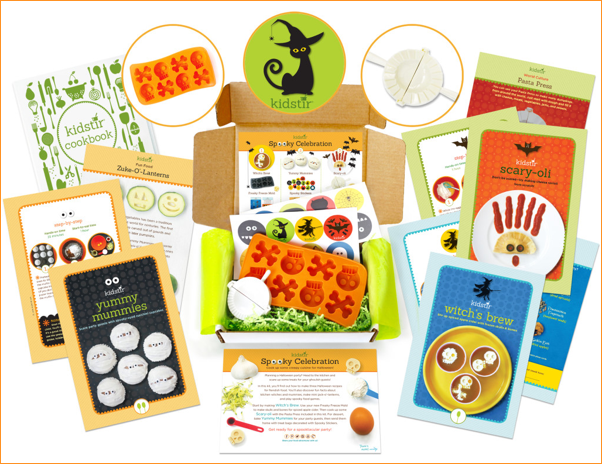 Our Spooky Celebration kit available thru 10/20/16 is sure to delight and fright any little chef. Use the code spooky5 and get $5 off the first kit of a new subscription. You would be ghoulish to miss this!